Whenever we work with churches who are stuck, we start with tools that bring perspective. When teams discover where the bottlenecks are, they can begin to build and implement plans to break through the gridlock. One tool I like to use helps churches identify how well they are making disciples. You start by identifying four specific people groups and the percentage each group makes up of the whole church. While percentages vary, the church’s worship and preaching style often correlates with a predictable outcome. I’ve heard these numbers given proudly, as the team believes this indicates solid Bible teaching has led to the spiritually mature being the highest percentage of their congregation. However, these numbers can also indicate something else: There are few guests attending, which results in a low percentage of new believers and growing Christians. And if 80% are really spiritually mature, why aren’t they reaching new people? These numbers may be given with some pride in reaching new, unchurched people. However, we also see a low percentage of growing and spiritually mature Christians. This can mean the church lacks disciple-making intentionality. Chances are, there are holes in their assimilation process and a weak or missing discipleship pathway. Once I have gathered the data, I ask the team, “If you could wave a wand, what would you want your percentages to look like?” Regardless of whether the church is traditional or contemporary, usually the New Christian or the Mature Christian get the numbers, again, causing one or two people groups to become top heavy. So what does a healthy church look like? These numbers indicate good healthy movement. It tells us there is a strong invite culture, clear gospel presentation, easy next steps and disciple-making intentionality. When a church is top heavy in the Mature Christian box, it indicates a lack of reaching new people, as well as a low percentage of new people following Jesus. When the New Christian box is top heavy, it shows a lack of on-ramps for spiritual growth. Obviously it’s tough to create strategies and plans to build a perfect score card, but it should be our goal. Movement matters because discipleship isn’t a place; discipleship is a journey. 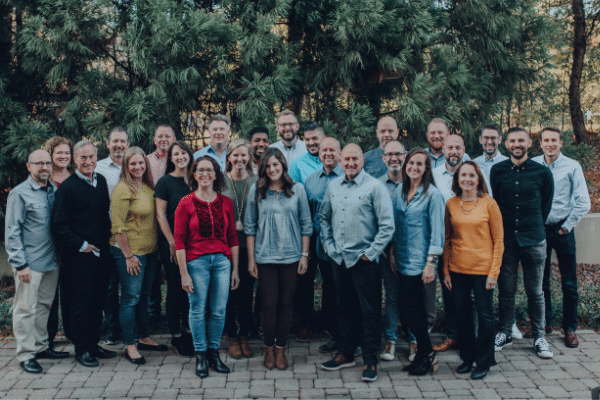 Want to learn more about how our team helps churches gain perspective and build strategies to reach more people? Read about our 4 Phase Planning Process.